Zijn artikel stond 10 dec. op de website van de Jewish Telegraph Agency [cf. Aanvulling: op 17 dec. 2015 kwam het op de joodse weekbladen Jweekly.com, "Banished for heresy 360 years ago, is it time to clear Spinoza?" 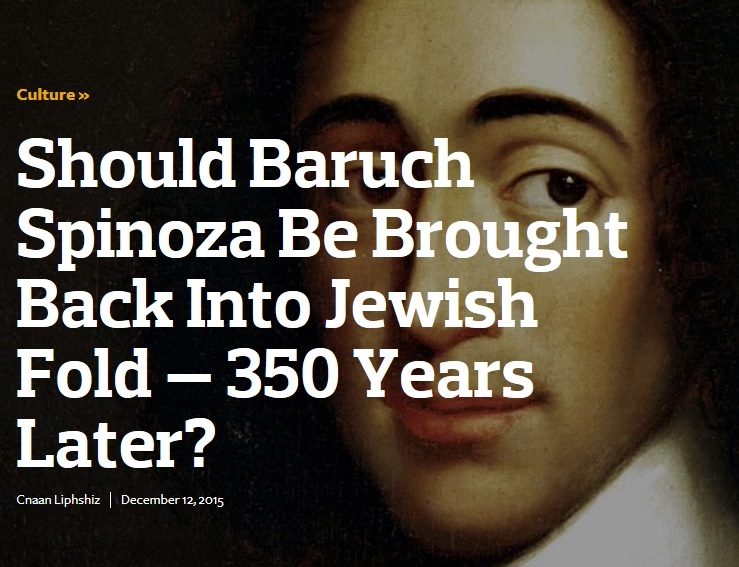 en eveneens op The Intermountain Jewish News: "Is the ban on Spinoza being lifted?"